All great achievements are the product of commitment. Learn more about UBC’s nine commitments by visiting the university’s Place and Promise Plan, reviewing the full annual report for progress and metrics, and exploring the stories below to see how students, faculty, staff, and alumni are bringing the commitments to life. Your Custom Report is empty. When viewing a story or section, click 'Add to my Report' to save that page to your custom report. There is no doubt that technology is changing the world and with the right people leading the way, education stands to benefit dramatically. At UBC, technology is at the forefront of Flexible Learning – a commitment to bring more flexibility to how and where students do their learning. “Technology is continually helping us find better ways to connect with students,” says Angela Redish, Vice Provost and Associate Vice President Enrolment and Academic Facilities. Even though flexible learning is not completely dependent on technology, two areas where technology is making a huge impact are through ‘Blended Learning’ and ‘Massive Open Online Courses’ or MOOCs. MOOCs are currently being touted as the single most transformative force in education today. Considering that UBC’s first MOOC attracted over 130,000 registrants from every Canadian province and almost every nation on the planet, it’s safe to say they are already having a profound impact. 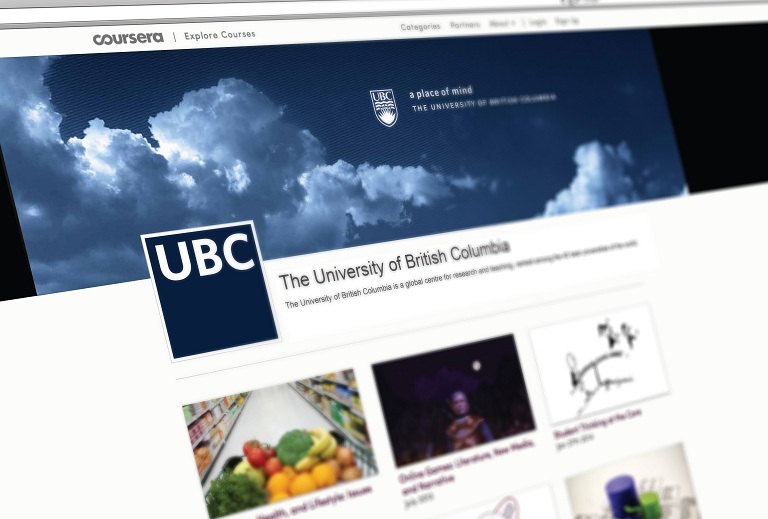 UBC’s early success with MOOCs can be partially attributed to the partnership with Coursera – a website that delivers free, publicly available non-credit courses to a worldwide audience. Coursera courses typically consist of videos and voice-over PowerPoint presentations, with student-led discussion forums, interactive activities, quizzes and assignments set at regular intervals. UBC’s first MOOC attracted over 130,000 registrants from every Canadian province and almost every nation on the planet.